Below you will find our list of the latest new hotels in Osaka, Japan, with the best accommodation to open in the city over the last few years, from budget 3 Star, Deluxe 4 Star, to Luxury 5 Star properties. 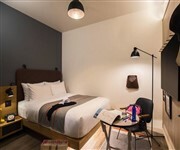 This new hotel in Osaka's Chuo-ku ward opened in February 2019 and is located just a minutes walk from the Kitahama Station. A new, recently opened budget 2 Star hotel. 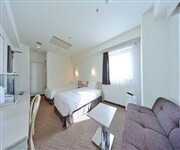 A new 3/4 Star hotel opened in August 2018, in a central location on the north side of the city, 5 minutes walk from Nishi-Umieda Station. 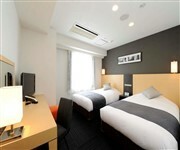 A new 3 Star hotel in Namba, Osaka, located 5 minutes walk away from the Nagahoribashi Station. 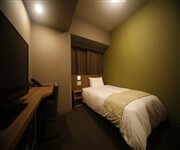 A new hot springs hotel opened in mid 2018, located close to the Minami-morimachi subway station. A new 3 Star hotel in Minami, Osaka. 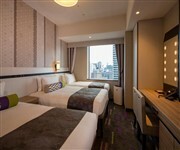 A new 3 Star hotel in the Shinsaibashi area of Osaka opened in April 2018, offering a good location, just a few minutes walk away from the Shinsaibashi Subway Station. Opened towards the end of 2017, this new lifestyle hotel by Marriott is located in a good central location, within waking distance of many of the tourist attractions. 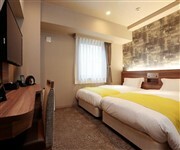 A new hotel in downtown Osaka located just a few minutes walk away from the JR Tsukamoto Station. 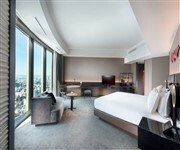 A new luxury hotel in Osaka opened in mid 2017, located on the higher floors of the Nakanoshima Festival West Tower. The hotel features four dining venues, a luxury Spa, heated indoor swimming pool, fitness centre, a wedding chapel and event space.